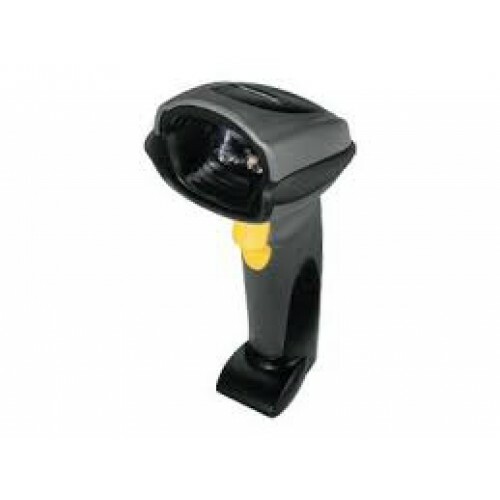 The handheld DS6707 combines a 1D/2D barcode scanner with a 1.3 mega-pixel digital camera and a high performance document capture scanning a single cost-effective device, maximizing employee productivity and streamlining business processes in the retail store, post office, pharmacy or manufacturing floor. True point-and-shoot image capture with Symbols text enhancement technology delivers superior document clarity, even on fine print.The DS6707 reduces capital and operating expenses by eliminating the need to purchase separate devices to capture images and read different barcode symbologies. Remote scanner management capability further reduces the total cost of ownership, while multiple interface options makes for easy installation anywhere. Motorola Symbol DS6707-SR - SCANNER ONLY, 2D Imager. Tags: Symbol DS6707-SR - SCANNER ONLY.